It’s all your fault. Okay, maybe not, 50/50? The constant Facebook posts on fall, boot sales, apples, and pumpkin spice lattes can really mess with a gal’s head. So here I am, totally caving in to the fall season and it’s still ninety degrees outside. Peer pressure? Yep, totally caved to peer pressure at the ripe old age of twenty-nine. Embarrassing, but true. Once you give fall an opening into your life, you don’t just decorate the bookshelf with a couple of fake, happy pumpkins. Nope, once fall enters your brain and takes over your every thought pattern, you must completely surrender. Within just hours I went from popsicle-making to baking apples and sprinkling them with cinnamon (maybe it’s the cinnamon’s fault?). The apples and cinnamon led to fall playdough and fall gardening. And soon, homemade caramel apples were being dunked and pumpkin spice lattes were made. Oh my! I’ll stop at the boots since it’s still warm enough for bathing suits and AC. 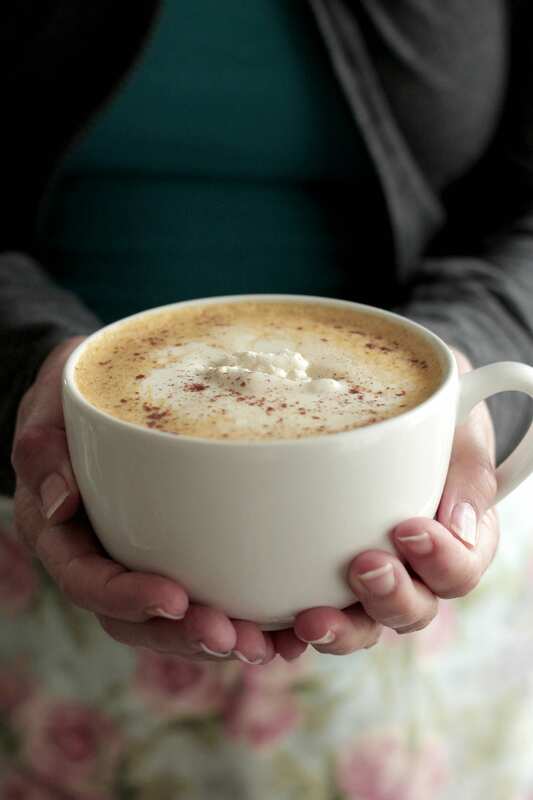 Pumpkin spice lattes are the quintessential fall drink (thank you, Starbucks). At $6 a cup, this drink will have you broke before fall ever makes her debut and leave you with endless tummy aches from questionable ingredients. Real pumpkin? I don’t think so! I’m all for enjoying special treats (without going broke). Real food is about more than salads (thank heavens!). Real food is about finding better alternatives to the food so many of us love and enjoy. 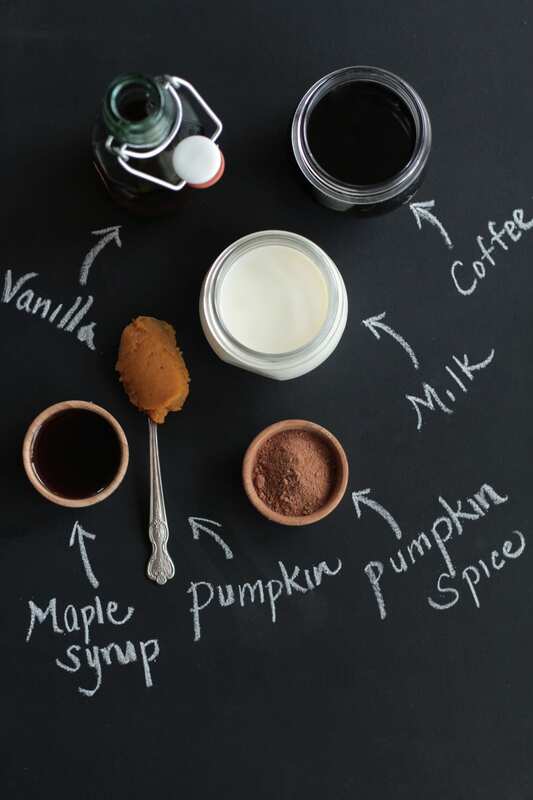 Pumpkin spice lattes can still be enjoyed, but instead of spending loads of money on a questionable drink, we can make a homemade version with a few simple (and cheap) ingredients that are actually decent for our bodies. Imagine that! Pull up a seat. I don’t bite. I’ll brew the coffee and whisk the milk and pumpkin, adding a few spices for flavor and homemade whipped cream for that extra special touch. It’s going to be good, homemade good! Trust me, you’ll want to stay. We’ll talk about fall and maybe even try on boots. Too far? Okay, we’ll just stick to the sipping. I’ll brew the coffee and whisk the milk and pumpkin, adding a few spices for flavor and homemade whipped cream for that extra special touch. It’s going to be good, homemade good! 3 TB pure maple syrup reduce this amount if you don't want a very sweet latte. Brew the coffee. You may desire more coffee, so make a little extra if desired. Set the coffee aside. In a small saucepan, over medium heat, warm the milk, maple syrup, pumpkin pie spice, and pumpkin. Whisk the ingredients until the milk begins to bubble on the sides. Turn off the heat and add the vanilla extract. 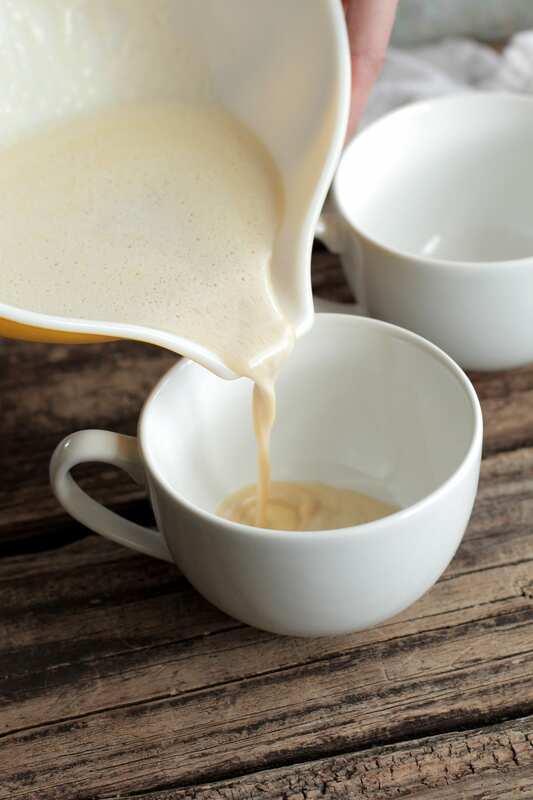 Pour the warm milk in a large bowl or work in the saucepan. Use an immersion blender (like this) to create the milk froth. This is the secret to creating a homemade latte without an expensive machine. This little gadget is also perfect for pureeing homemade soups in the winter. If you don't have a immersion blender, vigorously whisk the milk in the saucepan as the bubbles begin to form (while heating the milk). This method won't create the same froth or texture of the immersion blender method, but it will still create a tasty coffee drink. 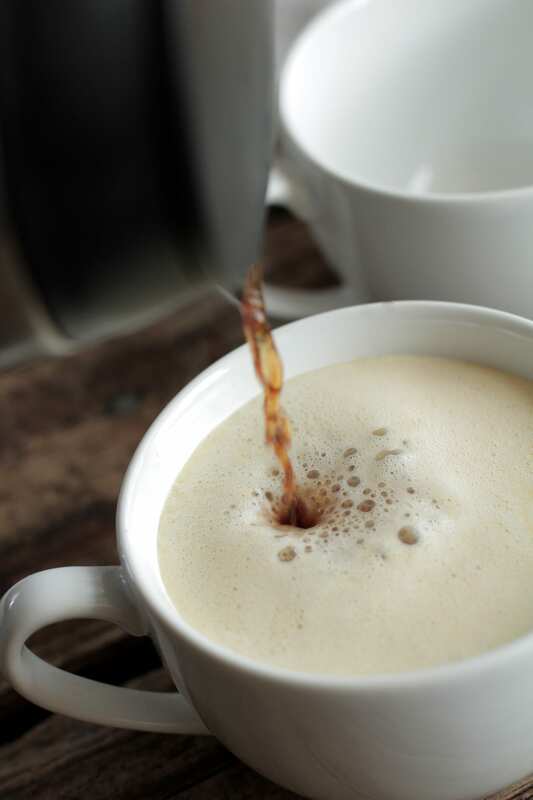 Pour the frothy milk into a large coffee mug. Carefully pour the coffee into the frothy milk. 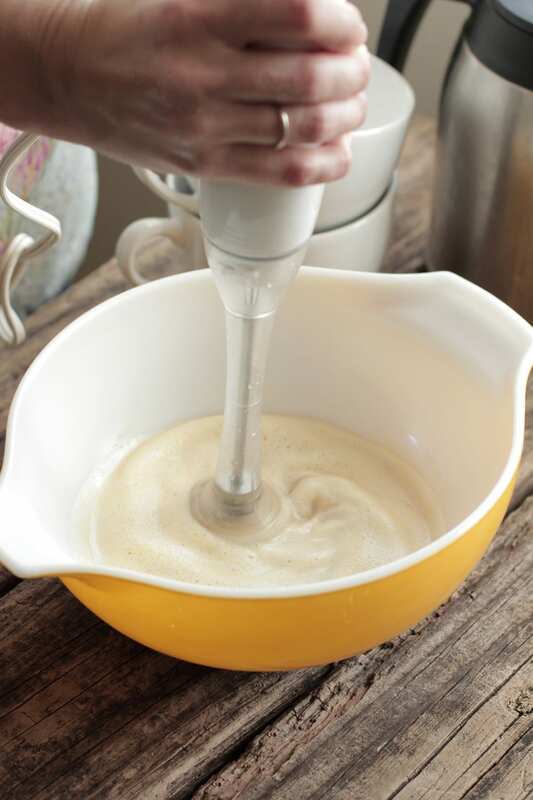 For the homemade whipped topping: In a stand-mixer fitted with the whisk attachment (or hand-mixer) whip the cream, vanilla, and honey/maple syrup for 2 minutes, until the mixture forms whipped cream. Spoon the whipped cream over the top of the pumpkin spice latte. Sprinkle with additional pumpkin pie spice. This recipe makes one serving, but can be doubled to serve two. To make this recipe dairy-free, use canned coconut milk (shake first before opening) or cashew milk instead of whole milk. Coconut cream (skimmed from the top of the coconut milk, don’t shake the can) can be used instead of heavy cream. looks good. I will make this when the weather gets cooler here in GA. Thanks Krisitn. You’re welcome, Sam! 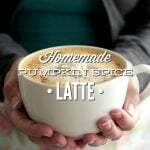 This latte is perfect for cool fall mornings. Can’t wait to try this. Looks so good. Question- where did you get the mug? I’ve been wanting some just like that forever. Thanks! Thank you, Lauren. I found the mug at HomeGoods :). Thank you so much, Sheila :). Enjoy the delicious latte!!! Hey Cassidy, I love that you added an egg! What a great (nourishing) addition. Thank you for sharing the spice suggestion. Oh, Kristin….I just made this and it’s so much better than any Starbucks PSL. Rich and creamy with just enough pumpkin and maple. Perfection, my friend – perfection! Oh, Dena! I’m so glad you loved it!! Just talking about this drink makes me want to make another one :). This turned out so well, and in fact is much much better than the Starbucks version ! Great job ! It is actually the easiest recipe to follow as well compared to some others out there. Thank you, Lindsey! I’m so glad the recipe was easy to follow…I like to keep things “simple” ;). Hi, Kristin. 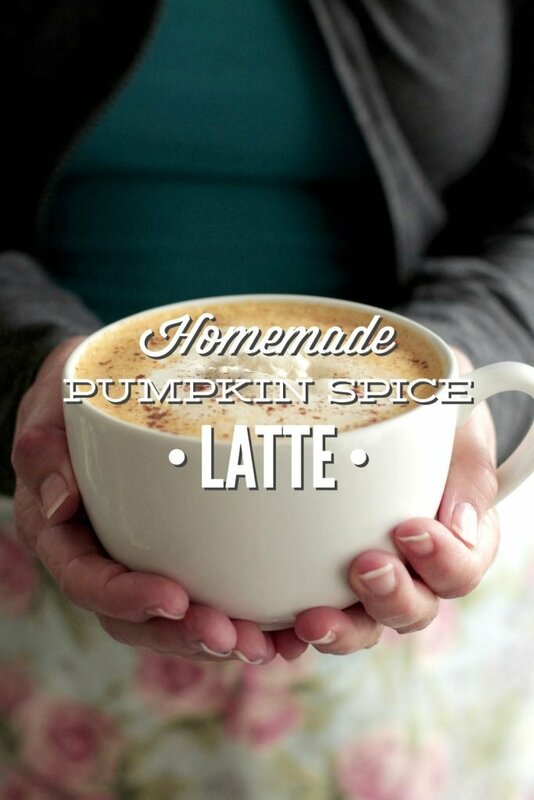 This Pumpkin Spice Latte sounds so amazing…and simple, especially for a non-cook like me. I am new to your blog but I really like what I see so far. I just added your information into my contacts; I see that you are in Florida so now I have to love your blog even more. 🙂 I am a native-born Florida girl but have not lived there in a long time. My husband and I visit when we can; we are really hoping to retire back to the beautiful Sunshine State!! Thanks again for your words of wisdom. That spoon though… I heart it big time!!! Lol only another blogger would notice a pretty spoon amongst all of this pumpkin goodness! Lol, Dana, we have similar tastes :). Thank you for such an easy, amazingly yummy recipe. I moved to Africa for a year and came back and couldn’t stomach Starbucks’ PSL because it tastes like chemicals to me. This is so much better and so easy. I love knowing what is in what I’m drinking. Thanks for sharing this perfect recipe! Hey Michelle, That’s awesome! I’m so glad to help. I lived in Accra, Ghana, West Africa for two years (2002-2004) and loved it! Where did you live? I love Africa! We lived in Kenya from 2011-2012. What did you do in Ghana? We worked at an orphanage – my husband helped build a new dormitory. Michelle, We lived at an orphanage. My parents moved to Ghana with an organization called, “Rafiki” and I followed them over there, taking a break from college. My dad was in charge of overseeing the finishing touches on the construction. I made this and both my husband and I loved it! However, when we got to the last few sips, all the pumpkin pie spice seemed to have accumulated on the bottom and we were drinking the powder. I don’t have an immersion blender and so I just whisked the milk with the other ingredients. Would the immersion blender prevent this from happening? Hey Caity, The immersion blender takes care of the spices, blending them perfectly into the milk. Another option is to place the milk in a regular blender and blend for a few minutes. Just be careful not to put super hot liquid in the blender. The first time I made this drink I didn’t use an immersion blender. I wasn’t that impressed with it. Second time, I used the immersion blender. Big difference! So tasty! I used almond milk, but will try coconut milk next time. So much better than syrup-based drinks. Hey Lisa, I’m so glad to hear that. The immersion blender is definitely the trick to creating an amazing homemade latte! OMG, this is sooooooo good!!!! Thank you thank you! I multiplied the recipe by a zillion to make a half gallon to share! Yay, Marcy!! I’m so glad you loved the pumpkin spice latte. What a great idea to make enough for sharing! I bought myself an immersion blender for my birthday (along with a bread machine and dutch oven…girlfriend loves her food!) and I had this recipe in mind when I purchased it. 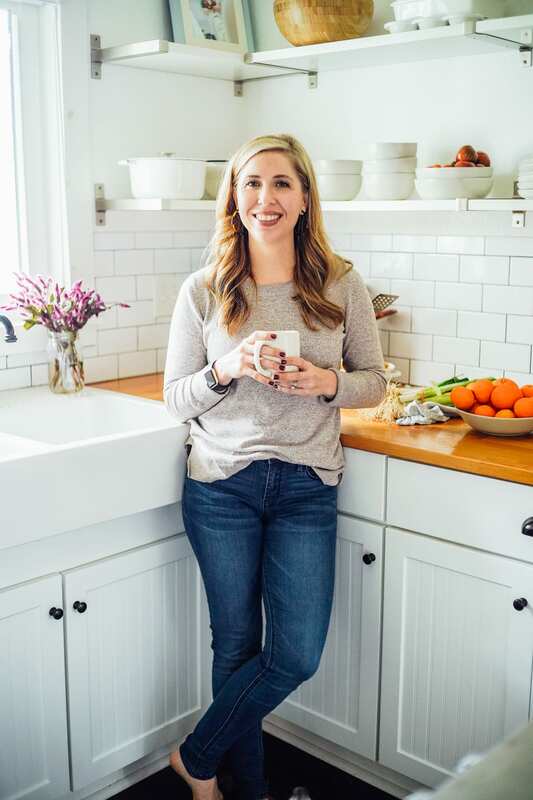 I’m a Washington girl born and raised, so I grew up with a coffee stand or shop on every corner. When I moved to Kentucky a few years back I was so disappointed to find out that there are hardly any coffee shops in my area. Coffee is essential to me. I start every single day with it. While my standard black coffee brewed in a pot is great, I still crave a vanilla latte like the kind I would order at a store. I just made one by leaving out the pumpkin and pumpkin pie spice in your recipe. The immersion blender totally made it like a latte, foam and all! Super happy about it. It may be the latte that I just gulped down talking, but I am really jazzed right now =D Haha! Lol, I love that, Cheri!! I’m so glad you’re enjoying the homemade latte. Thank you so much for sharing. Hey Lisa, Thank you. I think this recipe will work great with black tea! This looks and sounds absolutely delicious! I love pumpkin spice lattes any time of the year! So, even though it’s pretty much summer around here, I am totally making this tomorrow morning. I can’t wait! I’m half-tempted to make it right now. But, I might never sleep then. I can’t help it. I’m doing it! Who needs sleep anyway? Lol, thank you, Lydia! 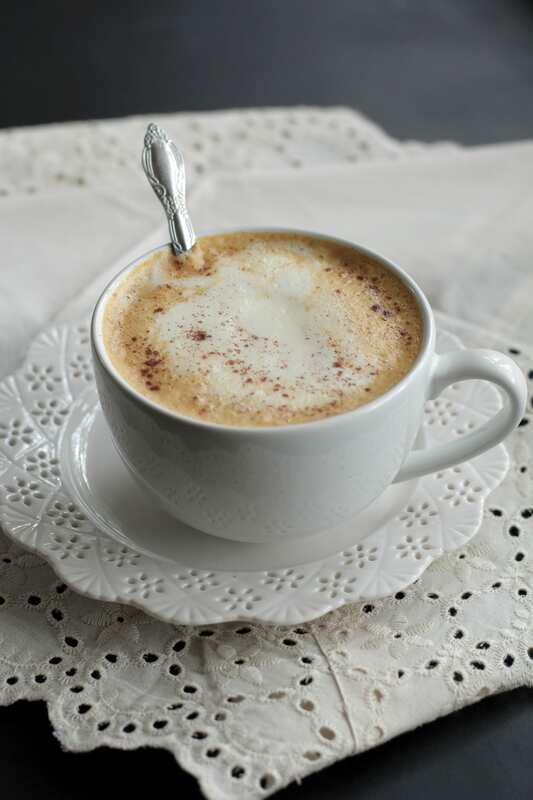 I hope you’re enjoying a homemade latte right now :). Hey Kate, I think you’ll love the homemade version–it’s soooooo good :)! Enjoy!! Instead of an immersion blender, I have the milk mixture heated in a canning jar in the microwave. Once warm, screw the lid on. Shake vigorously and for less than $1 glass jar, you have frothy milk in less than 20 seconds. Yay, I’m so glad you enjoyed the afternoon treat :). Oh no, Celine. Sounds like the pumpkin might have been the issue. I just made this today and it was PERFECT! I don’t think I can drink the Starbucks PSL ever again! Thank you for sharing this recipe. Yay! It’s so great to hear you loved the PSL, AlmaNely! Two notes for people in their quest to enjoy this amazing drink. 1. Nutribullet (or Ninja, or any other brand) is great if you don’t have an immersion blender, and it makes it super easy to do quickly in the morning before heading to work. Generates lovely froth even. 2. This works with English breakfast tea for those like me who are not coffee drinkers. (: just steep how you like, and add the mixture in after. Awesome, Sydney! Thank you so much for sharing :). Made this earlier today and it was just what I was needing! Where did you get that yellow bowl? Awesome, Kelli! So glad the pumpkin spice latte hit the spot. The yellow bowl is an antique from Dustin’s grandmother :). I love combing a few tablespoons of the milk, along with the sugar, pumpkin, pumpkin pie spice, and vanilla over low heat and let it simmer for four minutes. Thanks for sharing! Glad you’re enjoying the recipe! That sounds AMAZING, CHolly! Thank you for sharing! This is sooo yummy!! The first successful drink I’ve made! Still trying to master the Chia Tea. Thanks for sharing! That’s so great, Kelsie! I’m so glad this recipe worked well for you. Happy Fall! I made this today, very good. I tried using coconut for the whipped cream topping, that unfortunately didn’t work for me. Next time I’ll use the regular whipped cream. Thank you for the recipe. Hey Adriana, I’m so glad you liked it! Coconut whipped cream can be really tricky to make, as the final product varies with brand and also the “coldness” of the cream. Here’s a great tutorial: http://tasty-yummies.com/make-whipped-coconut-cream/. I was wondering if there would be anyway to make this with a hot tea? Hey Julie, Definitely! I would sub the coffee for black tea :). I made this and I really enjoyed it! It was better than some of the other recipes I followed, thank you for sharing! Hey Athena, Wonderful, I’m so glad you enjoyed it! 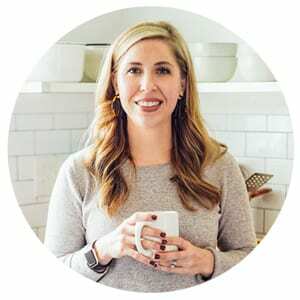 I know this is four years later, but I just had to say great recipe, Kristin! It was delicious.. I don’t know of any cafes near me where they add actual pumpkin to the pumpkin spice latte, but I tried this and loved it. The blender makes a big difference (the first time I whisked it). I tweaked the recipe only slightly: (1) I reduced the vanilla to 1/4 tsp (at 1/2 tsp I was tasting “vanilla extract” as opposed to that nice “vanilla” taste), and (2) I took Cassidy’s advice and added the raw egg to the blender (which I recommend). Thanks again, and Happy Fall! Thank you, Danny! Glad you enjoyed it!